A couple of recent ‘Best Place to Live’ surveys reminded me of my business travel days when I crisscrossed the country and would often be asked where I was from. When I responded, “Southern California, Orange County”, I would hear things like, “Oh, a surfer dude”, (I’ve never surfed), or “Oh, is that why you wear those cool shades?” (I wear sunglasses BECAUSE IT’S SUNNY THERE! ), or, “Aren’t you afraid that an earthquake is going to cast California into the Pacific Ocean?” (No). If the conversation continues, people feel compelled to remind me that, 1) there are too many people in southern California, 2) the traffic is unbearable, and 3) the air is unbreathable. Then, feeling the need to ‘throw me a bone’, they’d say, “But the weather’s nice” and then they’d remind me of the earthquakes again. 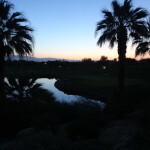 I hope everyone feels that they live in the ‘Best Place to Live’, but I wanted to confirm and perhaps help justify this elevated status for Orange County, so last Friday, February 27, I set out to help prove that it is, in fact, one of the very best places to live, in part due to its proximity to such a diversity of environments. Thus my journey began . . . I woke up at 3:45 a.m. (The things I do for you readers!) and with an assortment of wardrobes in tow, I’m out the door at 4:05. 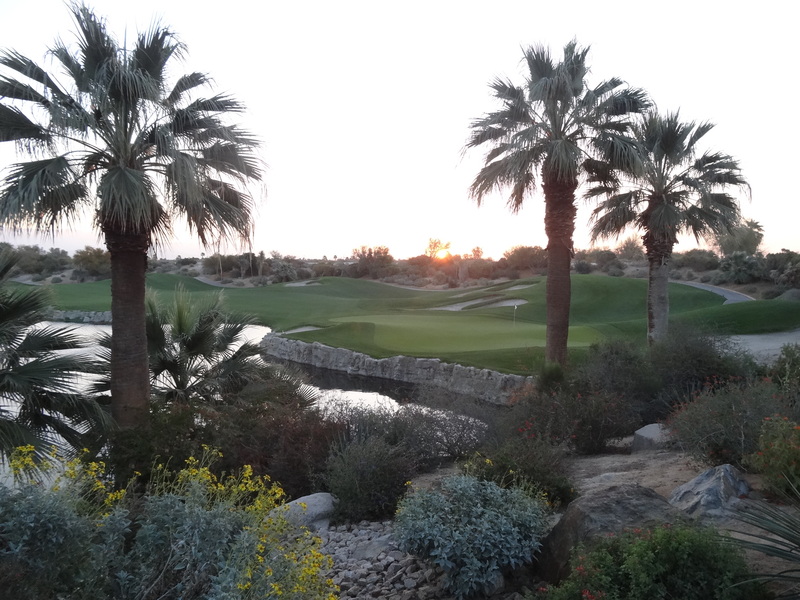 It takes me 95 minutes to drive the 103 miles from Orange to the beautiful Desert Willows Golf Resort in Palm Desert – golf’s winter mecca. It feels like I’m in a whole different world, because I am. 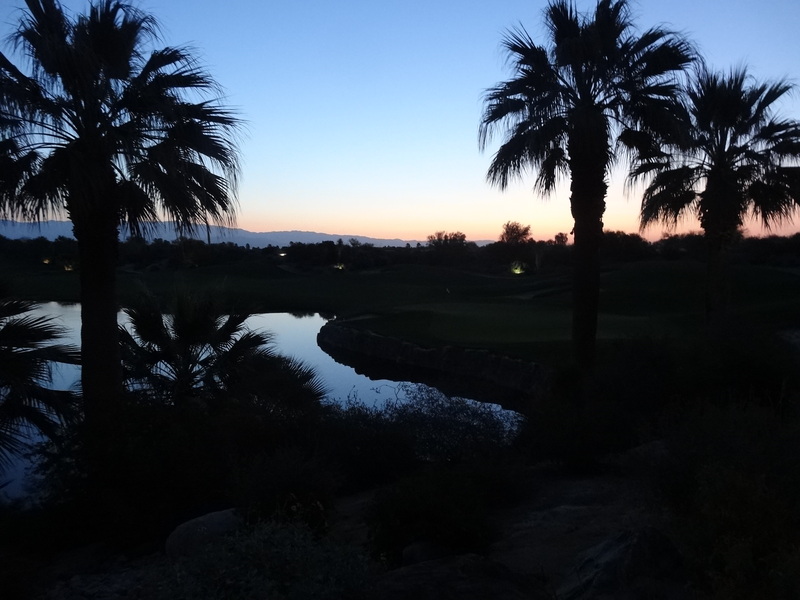 It’s 50 degree at 6:18 when the first sliver of sunlight appears over the Little San Bernardino Mountain range and softly lightens the Coachella Valley below. It will get to 77 degrees here today. 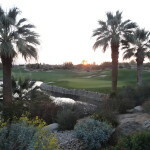 I’m envious of the golfers that are teeing off at first light in perfect weather, but I have a full day ahead of me, so I order breakfast, read the paper, write some of this blog and then head to my next destination. 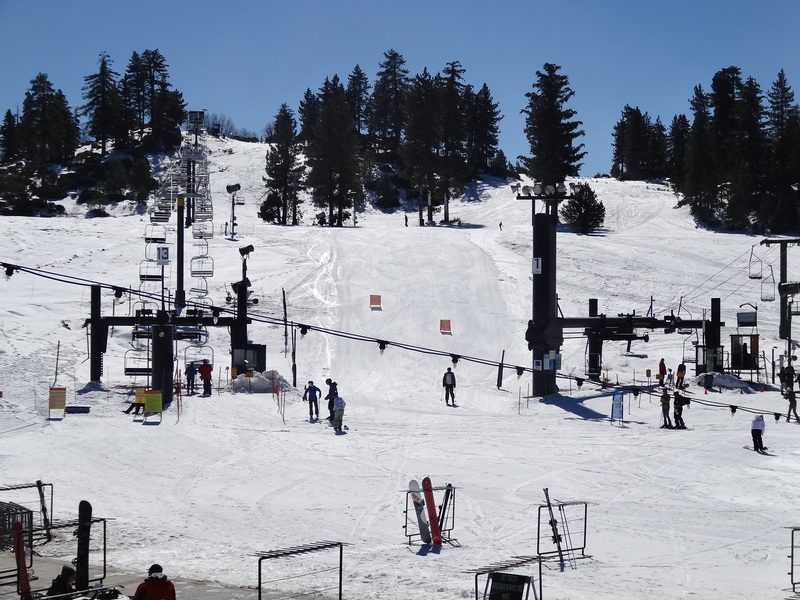 I cover the next 85 miles to Big Bear Mountain in 115 minutes and arrive at Snow Valley Ski Resort where the cloudless sky is deep azure blue. I’ve gone from an elevation of around 200 feet to around 7,000 feet in less than two hours. It will get down to 21 degrees here this evening. 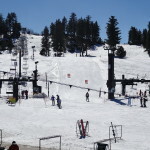 Bear Big Mountain provides great local skiing and snowboarding in the winter and great hiking trails in the summer. There was a storm last week and another one coming in this weekend, but I am fortunate to find a window where chains are not required to negotiate the assent on this winding mountain road. 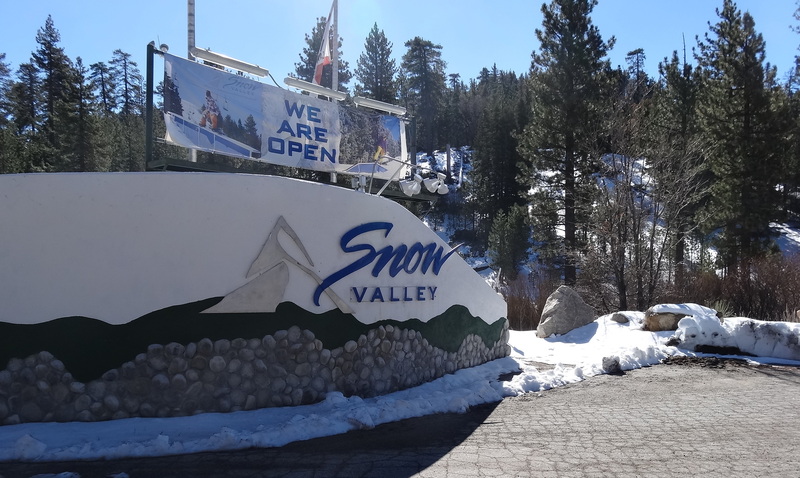 Once at Snow Valley, I step out of my car and take a deep breath and feel immediately exhilarated by a blast of fresh mountain air – this is air that no one has breathed before! I enjoy a cup of coffee as I hang out on the upper sun deck of the lodge watching the skiers on the mountain and wishing I were amongst them. I make a snowball, because I haven’t done that in years, and throw it at a nearby tree . . . and miss. 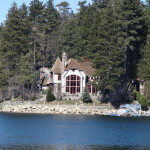 While I’m in the neighborhood, I decide to head over to picturesque Lake Arrowhead – another 25 minutes and 14 miles. 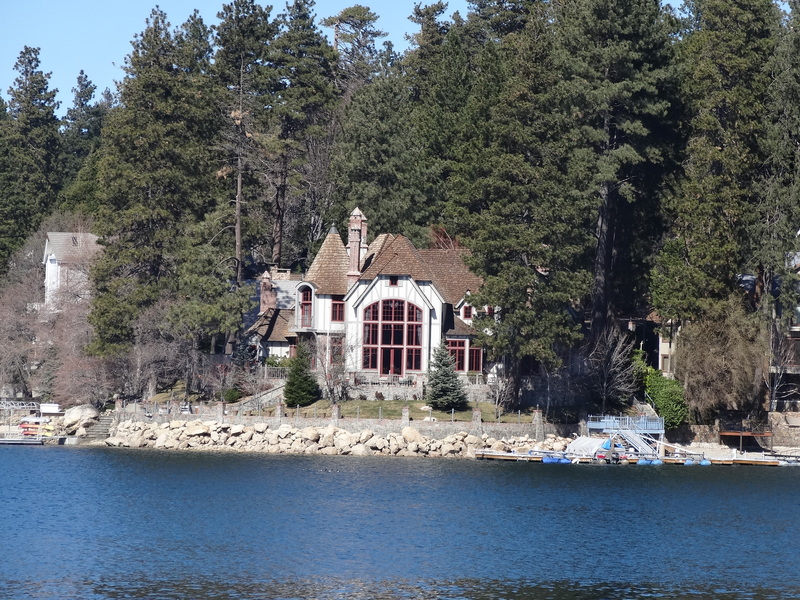 Back in ‘the day’, Lake Arrowhead was the mountain retreat for many Hollywood stars including, Shirley Temple, Tom Selleck, Patrick Swayze and Brian Wilson of the Beach Boys (photo at right is one I took of Wilson’s former lake house) to name a few. Today Arrowhead Village it’s fairly quiet; it’s off season – no boats on the lake, no stars in sight! Time to head down off the mountain. I drop from 7,000 feet to . 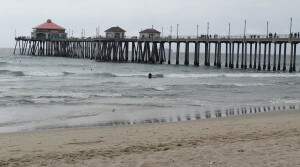 . . zero – sea level, as I drive 87 miles in just under two hours from Lake Arrowhead to Huntington Beach. 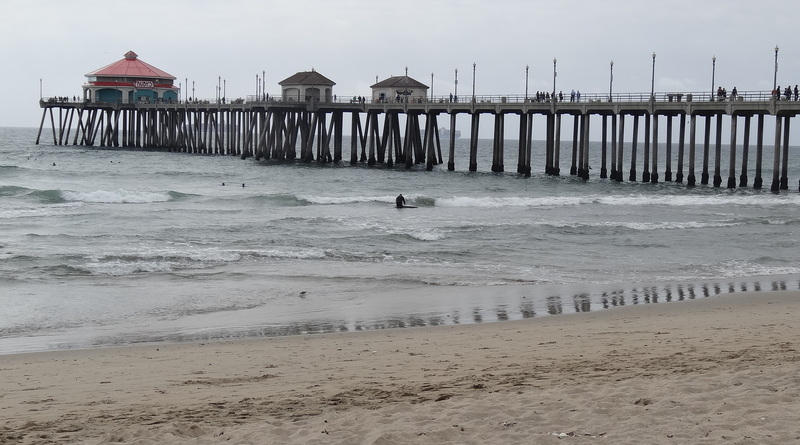 I could have gone to any number of great beaches in Orange County from Seal Beach to San Clemente, including tony Newport Beach or artsy Laguna Beach, but I wanted to visit my favorite beach restaurant, Dukes at Huntington Beach – ‘Surf City’. I find a place at the bar and watch surfers and street entertainers as the sun disappears slowly and beautifully into the Pacific Ocean. My day is complete – sunrise to sunset. 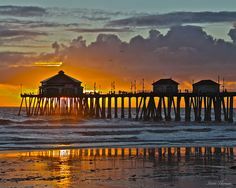 I do understand that proximity to the desert, mountains and beach is not everything, but it just adds to all the other factors that make Orange County a ‘best place to live’. I make the 23-mile trek back home exhausted, but feeling great about completing the ‘trifecta’ – desert, mountains and ocean all in one day. Next time I’m thinking it should be the ‘Trifecta Triathlon’ – same venues only I play golf, ski and swim. Maybe not.